Belmar, NJ. 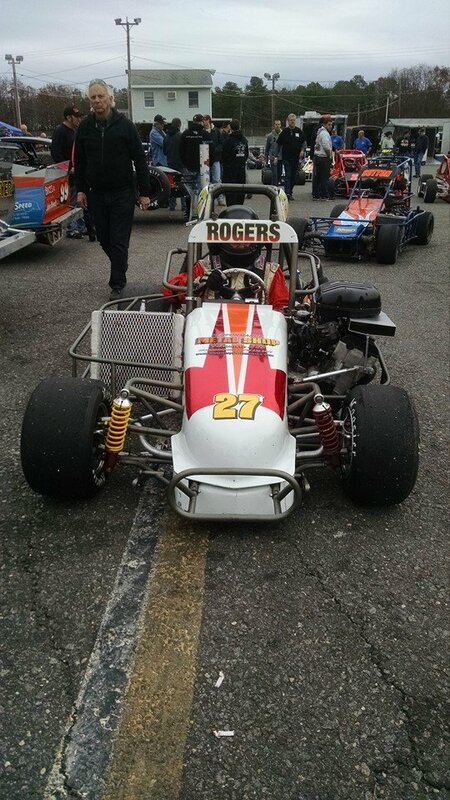 Eric Rudolph from Ransomville, NY was not only good but lucky at the 2015 ATQMRA Turkey Derby at Wall Stadium on Saturday. Rudolph led every lap reroute to pocketing the $1,000 winners share in the Mark Lafler owned Lafler House car in his first outing on Wall's inner oval. Matt Janisch set fast time with Matt Roselli earning a B-Main win. Four of the top finishing cars were disqualified following the race by the ATQMRA Officials for a tread width infraction. 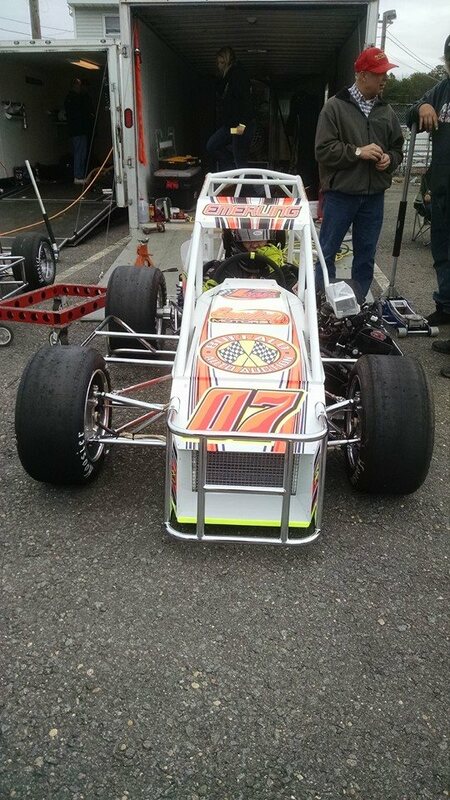 Next up for the ATQMRA is a General Membership Meeting this coming Sunday at 10:00 am in Fort Washington, Pa.
Ransomville New York's own Eric Rudolph is an accomplished racer in countless divisions beyond the world of TQ midget racing. 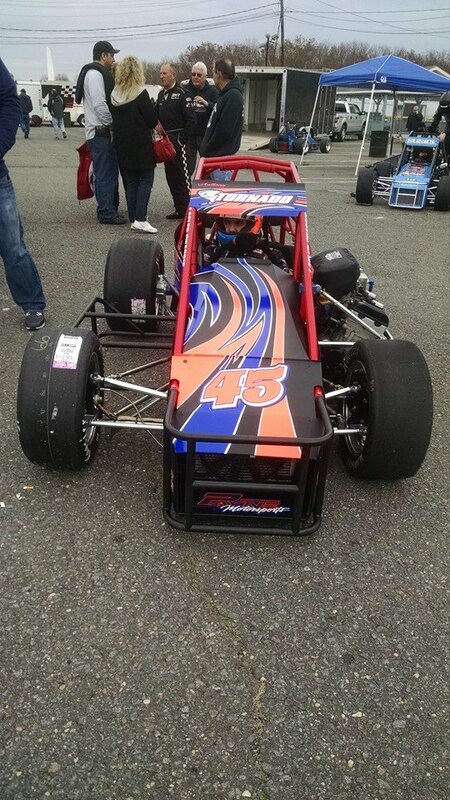 He has wins in Modified stock cars on pavement and dirt as well as documented success in TQ midgets indoors. He used his talent as a race car driver coupled with a little luck to earn the thousand dollar winners share at the ATQMRA Turkey Derby. Rudolph drove his way into the redraw by turning the ninth fast lap in qualifications and was lucky enough to pull the number one pill that gave him the pole for the scheduled 30 lap race. 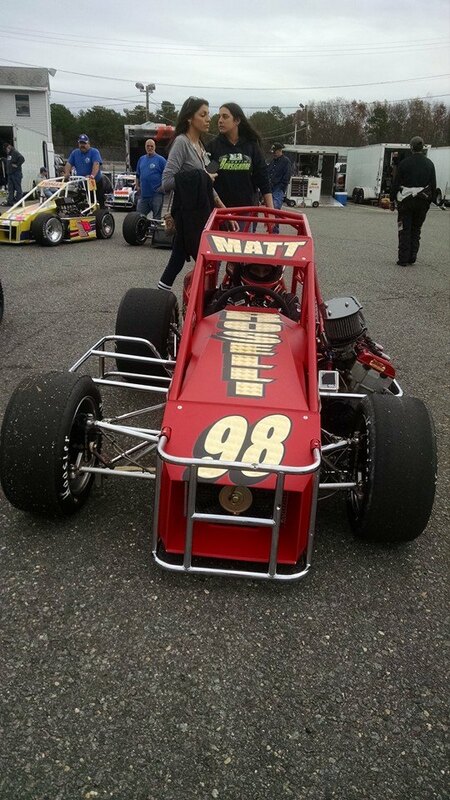 2015 ATQMRA Champion and two time feature winner on Wall's flat track as well as track record holder Buddy Sload charged from his fifth starting position to third on the initial race start. Sload worked his way into second by lap five to challenge Rudolph for the lead. A lap 7 restart would send Sload flipping entering the first turn ending his day. Sload was shaken but unhurt following the incident. The incident put Ryan Flores into second. He would dog Rudolph the rest of the way but was unable to take the lead away from the Ransomville flyer. His chances for getting the win were cut short as a result of the race being shortened due to the impending storm front that was moving in. 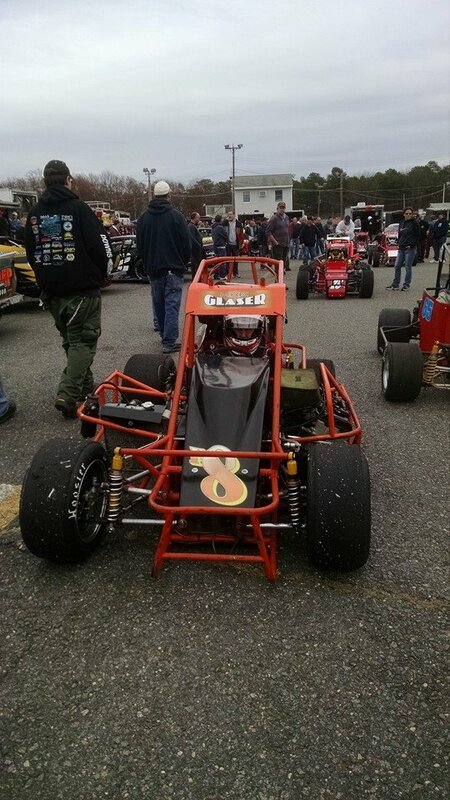 The TQ midgets haven't had this strong of a field of cars at the annual Turkey Derby at Wall in many years. 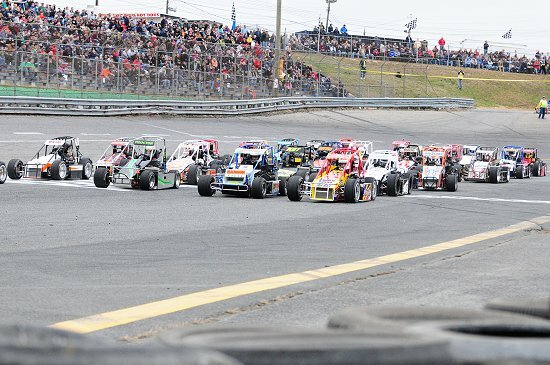 With 35 cars on hand and only 26 positions open for the feature it set up a situation where some racers were going to be watching the feature. Qualifications for the race were done by way of European style Time trials where 5 groups of seven cars were given four green flag laps to run their fastest lap. The top twelve would go into a redraw and the next 12 would go into the A-main straight up from time. The final two positions would be the top two finishers in the B-Main. 2014 ATQMRA Champion and the winner of that year's Turkey Derby Matt Janisch would set fast time. Janisch would redraw 7th but would be taken off the track as a result of putting down fluid. Matt Roselli who is normally a strong time trailer had a mechanical issue that relegated him to the B-Main which he won followed by Brett Conklin to advance to the A-Main. In an unfortunate turn of events four of the top running cars were disqualified for a tread width infraction that was found during post race inspection. This put Ryan Susie in second position followed by Anthony Payne moving into a podium finish of third place in his first race on Wall's inner oval. 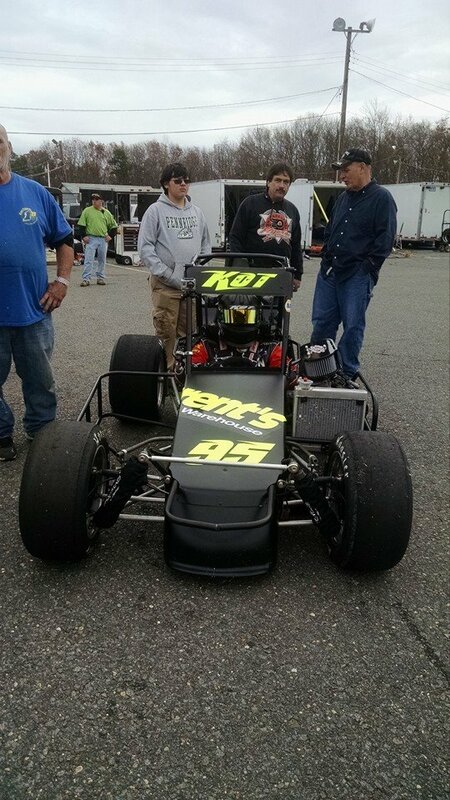 Tom Fraschetta was fourth with perennial ATQMRA Championship contender Ryan Tidman fifth and 2014 ATQMRA Rookie of the year Geoffrey Sutton sixth. Tim Proctor finished seventh followed by ATQMRA regular Shawn McCaughey, Mark Yoder was ninth with Jeff Kot rounding out the top ten. A follow up meeting to the October 21st Elections meeting is scheduled for Sunday December 6th at 10am. The meeting will be held at the Best Western Ft Washington, 285 Commerce Drive, Fort Washington, PA. It is located right at the exit from the turnpike. An agenda will be sent out by December 1st. The meeting will give all those with an interest in continuing the growth of the ATQMRA an opportunity to voice their opinions about the direction of the organization. 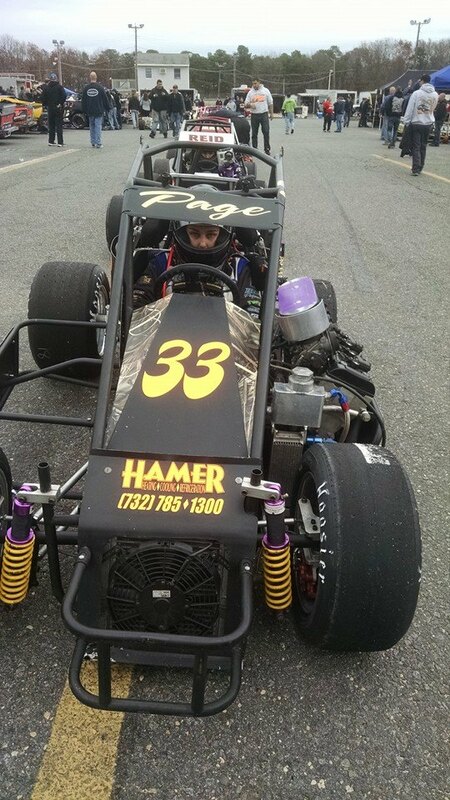 ATQMRA News and Notes:The ATQMRA Turkey Derby was a who's who of indoor three Quarter midget racing with cars and stars that frequent the indoor events put on by the Sammons family each year. 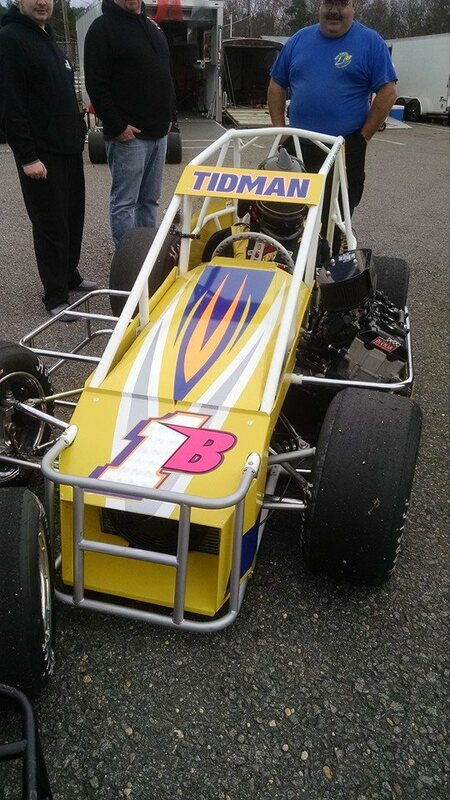 Countless wins were represented in the field with Liquid Lou Cicconi racing the car that Ted Christopher used to win numerous indoor feature events. The team battled gremlins in the engine management system all day. 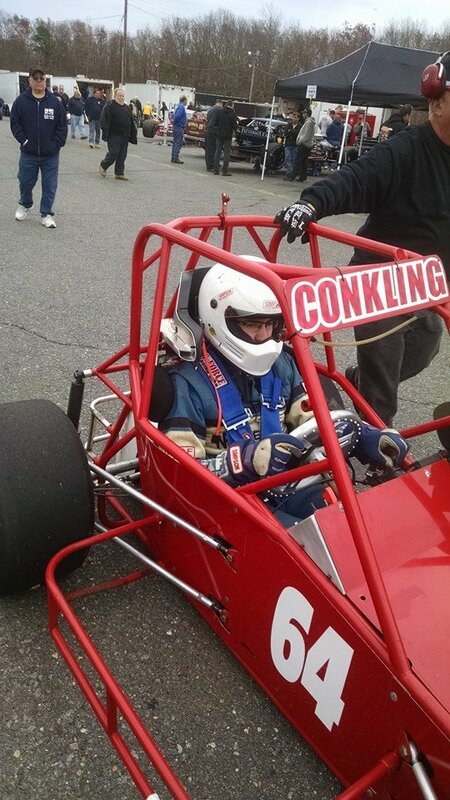 ATQMRA and ARDC Veteran Steve Craig made a return to the ranks of the ATQMRA after a several year absence. 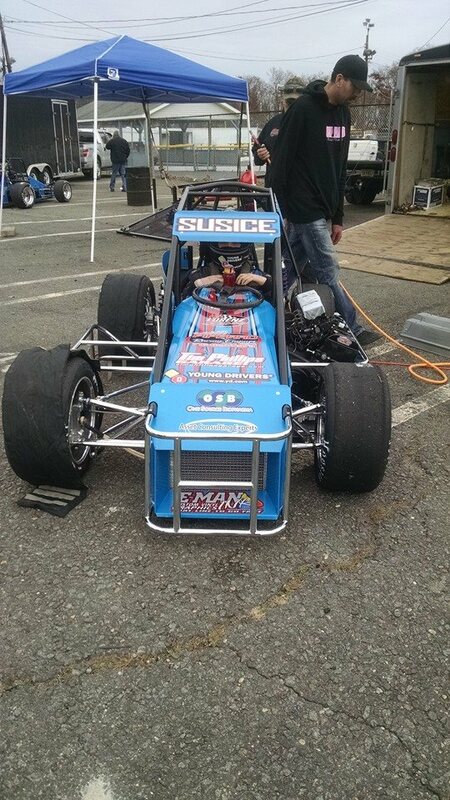 Joey Payne III made laps on the day in the Bruce Leote 26 car making his first Turkey Derby appearance in TQ competition and also marking the first time he was on track in competition with his father Joey Jr. and brother Anthony.